Hours of Operation: Sundays: 2 p.m. - 5 p.m. 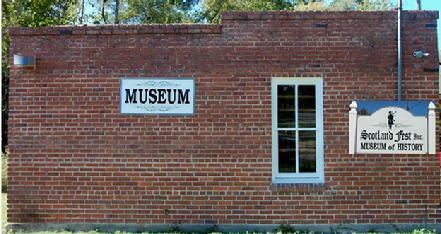 The Telfair Museum of History was established to help celebrate the Telfair County's Bicentennial in 2007 and is located on on Forsyth Street in McRae-Helena, GA. The Museum's displays items of historic agriculture, naval stores, timber occupations and modes of transportation. In addition, items displayed relate to Telfair's communities, notable individuals/families, record setting hunting and fishing, indians native to the area, historic schools and cemeteries. Hours of Operation: By Appointments Only!